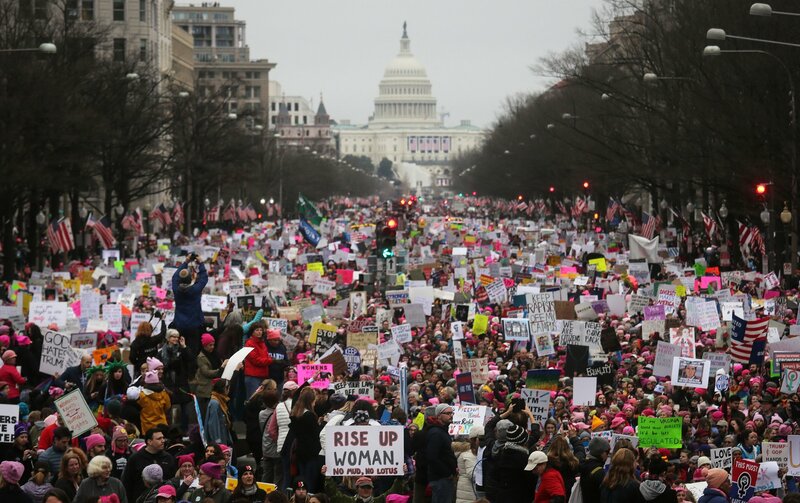 It’s hard to believe that Donald Trump has only been in office for one year, and that a year ago to the day yesterday, millions of women around the world took to the streets to voice their near-universal discontent. On Jan. 21, the Women’s March 2018 once again saw millions of women turn up to advocate for not just their rights but the rights of all. Major cities around the United States welcomed the Women’s March onto their streets. In New York City, the official tally was 200,000 protesters, according to Mayor Bill de Blasio. Even more people showed up to march down the streets of Los Angeles, where celebrities including Scarlett Johansson, Viola Davis, Natalie Portman and Laverne Cox spoke to the gigantic crowd. Crowds also gathered in Washington, D.C.; Chicago; Philadelphia; Austin, Texas; even Rome, Italy. 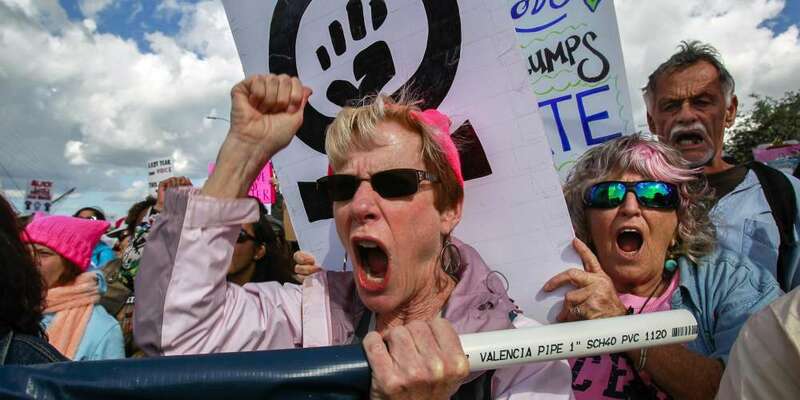 Today, in Las Vegas, Nevada, a separate rally called “Power to the Polls” is being organized by the leaders of last year’s Women’s March in Washington. The #resistance is just getting started. 2017 was a watershed moment for women’s rights. The #MeToo movement saw women (and some men, too) of all ages and backgrounds speak up about their history with harassment and abuse. And at the Golden Globes Awards held this past Jan. 7, the accessory of the evening was a black-and-white pin that read Time’s Up. Seen on the lapels of stars including Michelle Pfeiffer, Ewan McGregor, Rita Moreno, Nick Jonas, Seth Myers, Tom Hanks and This Is Us star Chrissy Metz, it’s an initiative created to fight sexual misconduct in the entertainment industry and elsewhere. Very honored to tell you guys I will be speaking at the #WomensMarchNYC tomorrow! Gonna be a beautiful day. Can’t wait to see ur faces. 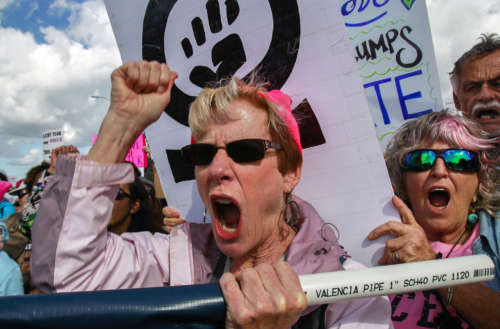 What were some of your favorite Women’s March 2018 signs and responses? Share them with us in the comments.